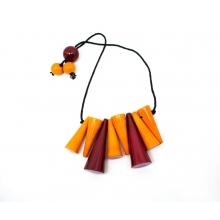 Wooden Necklace for babies. Made of elegant multiple wooden components, tagged together. Prettified with glossy lacque material. 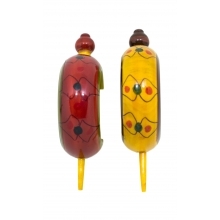 Smartly crafted by skilled artisans from Channapatna.